This institute focuses on the development of specific solutions for healthcare issues. Its purpose is to ensure that health-related research investments prove more efficient, with its findings helping people. Chronic pain, cellular and molecular medicine, palliative care, nanomedicine, eye care, and genetic therapy are its avenues of research. 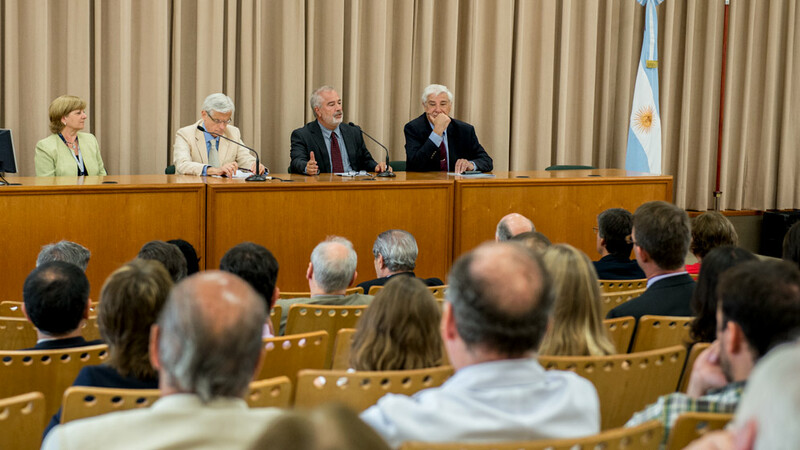 The CONICET-Universidad Austral Translational Medicine Research Institute (IIMT, for its Spanish acronym) was formally inaugurated at the university’s campus. This double-reporting institute is primarily intended to develop solution for the population’s healthcare needs, focusing its research on chronic pain, cellular and molecular medicine, palliative care, nanomedicine, eye care, and genetic therapy. The IIMT promotes multidisciplinary integration in basic research, patient-oriented research, and population research in order to secure people’s long-term health improvements. IIMT’s contributions focus on the interface between basic and clinical research, underscoring two issues: human pathology animal or cellular models, and new, safe methods for diagnoses and treatments. 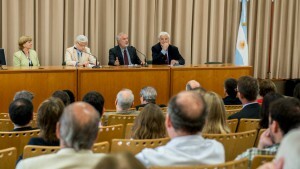 The inauguration event, held last Friday at the School of Biomedical Sciences’ auditorium (Austral University Hospital Building, in Pilar, Buenos Aires Province), was attended by Universidad Austral’s chancellor, Dr. Fernando Fragueiro; the head of the new IIMT, Dr. Marcelo Villar, and CONICET’s Institutional Relations Head, Dr. Antonio Ambrosini. “Society is becoming increasingly aware of the implications of financial investments in research and their impact on taxes. The fact is that investments in biomedical research will not continue forever, without the demand for concrete results that improve patients’ health,” added Dr. Villar. Also present at the ceremony were the dean of Universidad Austral’s School of Biomedical Sciences, Dr. Soledad Campos; the Chairman of the Board of the National Agency for Scientific and Technological Promotion (ANPCYT), Engineer Facundo Lagunas, and the Division Unit Development and Management head of CONICET’s Scientific and Technological Development Department, Ms. Luisa Baigorria, M.S. The IIMT’s specific goals include contributing to the understanding of the causes and mechanisms of pathologies that affect human beings and promoting the development of therapeutic solutions that mitigate or cure them definitely; providing a space for scientists from different fields to interact with healthcare professionals from several specialties, and supporting research projects that involve fellows, doctoral candidates and young researchers focusing on applied medicine issues. Much of the basic research funded by several countries has failed to contribute to improving healthcare for their populations as compared to the large amounts of money invested. Some USD 270 billion are invested worldwide on biomedical research, but the path to develop a new treatment is long, costly and complex, and it often ends in failure. The IIMT is part of “Universidad Austral’s Academic Health Center”, consisting of the Austral University Hospital and the University’s School of Biomedical Sciences, much like its counterparts in the United States. Site: Pilar’s University Campus, where physicians, patients, researchers, students, and industry representatives all interact. 150 researchers –41 of them belonging to CONICET. Access to funding sources, like PICTO-AUSTRAL, among others. Accredited by Buenos Aires Province’s Central Ethics Committee and registered at the OHRP (Office of Human Research Protections). First Argentine hospital to have been accredited by the Joint Commission International (JCI), the world’s leading healthcare center accreditation institution. Transplant leader in Buenos Aires Province. 800 applicants for 60 residency openings. Over 600,000 patients’ medical records, with potential access to 7 million Argentine citizens. Fourth in América Economía’s Ranking of Latin America’s Best Hospitals. Austral Scientific and Technology Park: It houses 55 companies and business ventures operating in the fields of biotechnology, software, education, chemical products, metrology, telecom, and food.